There is a certain independence in running your own business. There are a lot of advantages: you could work on your own time; no boss but yourself; your earnings are limited only by your efforts. The sense of freedom to do a job as best you can and be paid commensurately is what a lot of start-up businesses strives to achieve. For business owners, it is their chance to do something they enjoy doing. 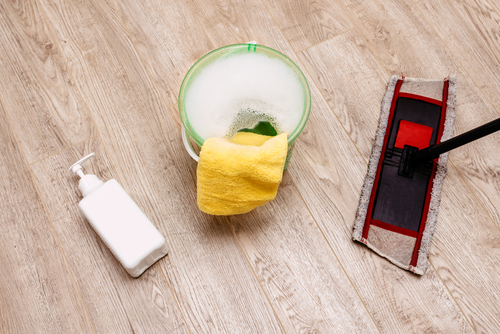 Starting and running a cleaning service business can be a big job. There are a lot of things that can be offered as services for customers. Limiting the business to only a few high-end services with a high return on investment can be a very lucrative strategy. Service offering segmentation could be viewed as either vertical or horizontal. Horizontal cleaning service offerings are those which you can offer to almost all offices, buildings or factories. This range of services includes janitorial services, general cleaning and maintenance, light cleaning and tube replacement, computer cleaning, window cleaning, washroom service, as well as janitorial supplies. No matter what the customer's industry is, they would still need to avail of services from the above list. On the other hand, vertical commercial cleaning services are industry specific. There are some industries with strict requirements which are unique to that line of work. Examples include airport cleaning services, daytime cleaning services, specialist food industry cleaning, IT hygiene services, industrial cleaning, hotel and leisure cleaning services, contract and commercial office cleaning, retail contract cleaning services and train and railway station cleaning services. These industry segments have their unique requirements. Due to security concerns, airport cleaning services require strict background checks of the cleaning personnel. Although not as strict, IT hygiene services also need a trustworthy staff. Hotel and leisure cleaning services require specialized training of staff since they will be interacting to some extent with hotel guests. Specialist food industry cleaning and industrial cleaning also need specialized training which is specific to the client's industry segment. In an increasingly competitive world, specialization results in better service. With a smaller niche, it is also that much easier to be the best within that market segment. Although that market segment might be small with only a few possible clients, the word of mouth factor becomes even more important. One good thing about small industry segments is that almost everyone knows everyone else. The small community shares information even as they compete with one another. In developing your office cleaning business within this segment, once you deliver excellent service, it is easy also to get the jobs from others in that market segment. This applies in particular to airports, restaurants, and hotels. These industries are tight-knit, and it is very common for personnel to transfer from one company to another within the industry. Proving your capability with one company opens the door to opportunities with their competitors. At the time that you need a gainful domain inside your office premises, ensure that you have a spotless office condition. Regardless of whether it's a home or an office, the moment that it is untidy and there are odds and ends inside, it's practically difficult to complete the work. In a muddled domain, the brain is not equipped for focusing on the current matter since it constantly ponders over the messiness. At the moment that you are maintaining your business, you must be entirely watchful of your office condition. 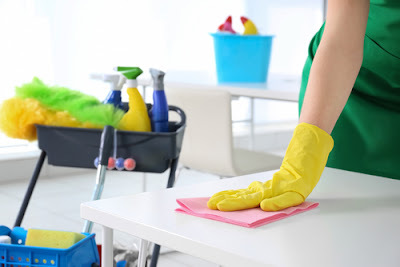 A consummately clean office premises is all that you require at in the first place, and you would just get a splendidly clean premises just when you enlist an accomplished cleaning administration organization in Brisbane. 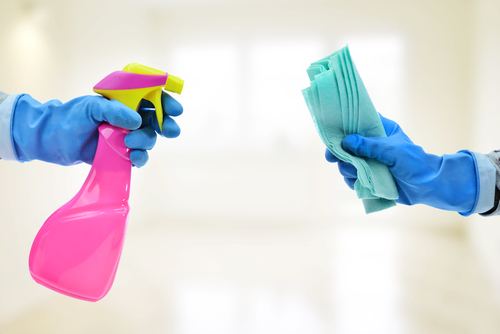 Here we will talk about the noteworthy advantages of getting your office cleaned frequently. For the ideal profitability, you without a doubt need every one of your workers to put forth a strong effort. The reality says workers can put their best just when they are 100% centered. With filthy and untidy extras all around no one could remain 100% centered. So the yield diminishes in sum. This is a genuine mishap to the extent the organization's improvement is concerned. Like this, you have to keep up your office condition perfect and appealing, so every one of your representatives and specialists remains persuaded and concentrated on putting their best. Regardless of whether you discuss your old clients or some potential customers, they all jump at the chance to see a very much outfitted organization condition. They judge your organization given what see at first. You could wind up losing numerous customers and clients on the off chance that you don't perfect your office routinely. A shrewd choice is a contracted an expert office cleaner giving veritable and the best office cleaning administrations in Brisbane. Entrepreneurs are naturally bustling nationals. They regularly become involved with their riotous timetable that it's hard for them to deal with seemingly insignificant details like cleaning the office. Be that as it may, this easily overlooked detail of getting your office cleaned helps your business succeed gigantically. Advantages of a spotless work environment are numerous, and they ought not to be ignored. The validity stands to the achievement and ubiquity of any business. Validity is an awesome thing which is difficult to come. In the present day situation, it's truly difficult to increase open confidence if you have not put appropriately in Advertising, Establishment, and Infrastructure. So the fact of the matter is to get a perfect and very much kept up business loft before you begin any publicizing effort. An ideal approach to get an entirely clean office is to employ an expert office cleaner which has no correlation with regards to all encompassing cleaning of office inside, outside, restrooms, entryway, gathering, and anteroom zones. It is also important to ensure that the terms of the contract are thoroughly vetted by both parties. Safety and insurance compliance, references, security, and background checks of staff, language and communication skills of the labor, care while working with sensitive equipment, damage insurance, etc. are some of the factors to be considered. Companies that employ casual labor-contract are to be avoided.